This was the first meeting in a new, more inclusive and interactive, format. Attendees were sat around smaller discussion tables, where strongly held differing views could be exchanged in an environment of courtesy and respect. Feedback about the new format from attendees was almost universally positive with many participants noting how much this style of meeting promoted honest and constructive dialogue. A discussion session was held around what the priorities of the HCEB should be and what good engagement would look like. Participants provided a lot of useful and detailed advice. Below is a summary of the emerging key themes. Firstly, participants felt strongly that the HCEB needed to focus on communication. It needs to raise its profile to ensure that anyone who wants to engage in the ongoing conversations about the proposed future development and current operations of Heathrow Airport has every opportunity to do so. Effort should be made to reach out to groups who are currently under-represented, such as young people and small & medium sized businesses. There is also a need to ensure that those engaging with the consultation reflects the diversity of the communities affected by the airport. This is thought to be especially important as there are a number of overlapping consultations which will require responses to be prepared in good time. Secondly, participants felt that the HCEB needed to both be independent and be seen to be independent. This is critical in order to engage with communities where trust of the airport remains an issue and build the relationships necessary for effective consultation to take place. In addition, the HCEB should focus on sourcing independent, impartial and accessible evidence or advice which can be trusted – particularly focussing on producing accessible information on the details of the consultation process. It should also consider commissioning its own independent research. 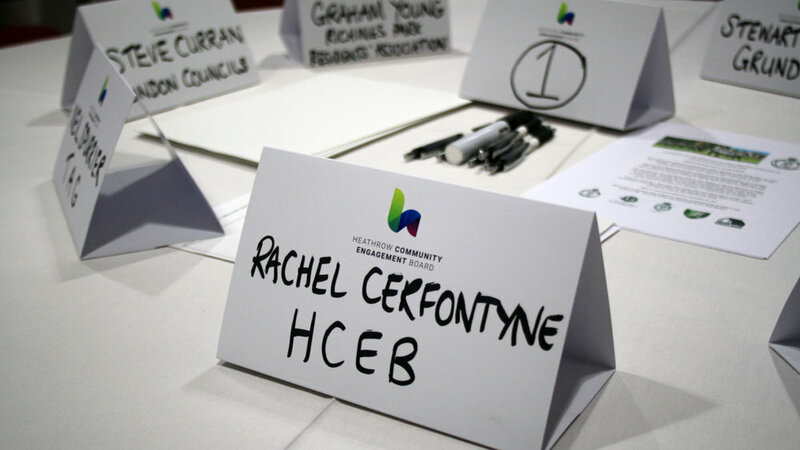 There was a desire for the HCEB to map the wider Heathrow Community, engaging with groups or organisations which already exist and look at how gaps might be filled to ensure the maximum possible engagement. There was also a suggestion that it might be a good time to renew and possibly streamline some of the current groups and bring them under the HCEB’s governance. Thirdly, the final detailed structure of the HCEB, including the memberships of its board of directors and strategic advisory group, should be finalised and published in an accessible format. Chair of the HCEB will review all the feedback from the meeting in order to inform how the HCEB is structured going forward. "I am really pleased with the constructive and positive discussions which took place at yesterday’s meeting. Those who attended made their views loud and clear on what my priorities need to be. With a team now behind me, I will set to work on delivering for the Heathrow Community on those priorities. I said at the meeting that meaningfulconsultation can only take place where good engagement also exists. That engagement can only happen through relationships built on mutual respect and a willing attitude. Yesterday was a significant step forward in developing the relationships which will be so important in ensuring good long-term engagement and effective consultation."